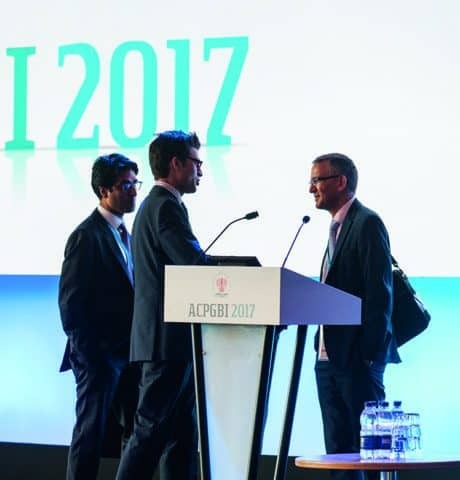 When the Association of Coloproctology (ACPGBI) came to us asking for help with their upcoming annual meeting, they were looking for a way to turn their productions up to eleven. No problem. The 3 day conference would provide a platform for the associates to present their research and finding from the field. 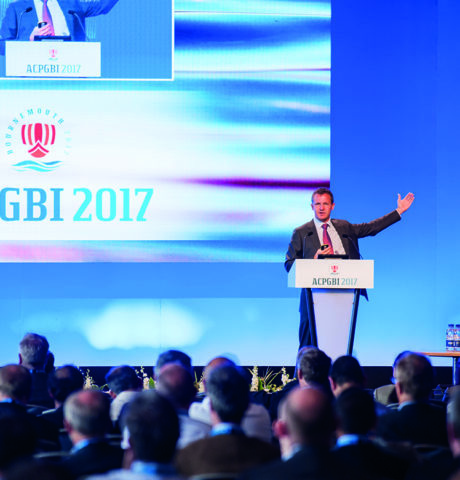 As well as outfitting and managing the main conference hall, we were asked to supply multiple breakout rooms and exhibition halls. To cover the needs of the breakout sessions our technicians built a bespoke av package to suit the independent requirements of each room. A combination of seamless switchers, presentation machines, display screens / projection surfaces & radio mics were the ideal solution for the daily sessions. 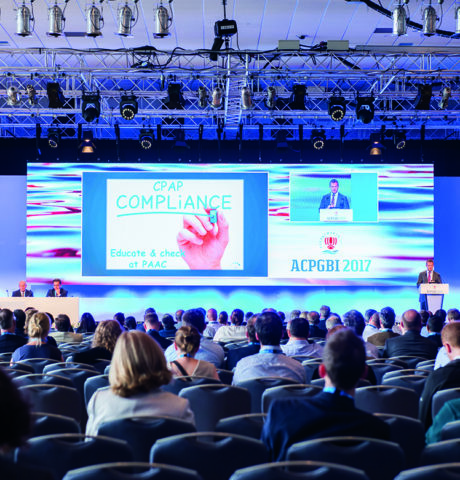 For the main conference hall we decided the biggest evolution from previous ACPGBI meetings was to install a flown 10 meter Absen M2.9 LED screen from which the rest of the production would be built around. A series of Watchout media servers fed custom graphics to the screen as a backdrop for the video output overlays. These could be sized and positioned anywhere on the canvas with use of an Event Master E2. A separate 4 camera sub mix was additionally fed into the E2 to allow live cameras on screen. We were also able to distribute any chosen video source around the venue with use of the in built fibre network, meaning we could feed the venue foyer exhibition halls and breakout rooms, keeping all visitors informed and involved. I always felt confident about your delivery, and can honestly say that I have never felt in safer “technical” company working on an event.